this is a popular sweet dish of karnataka and the flavour of pineapple is highlighted so well!! 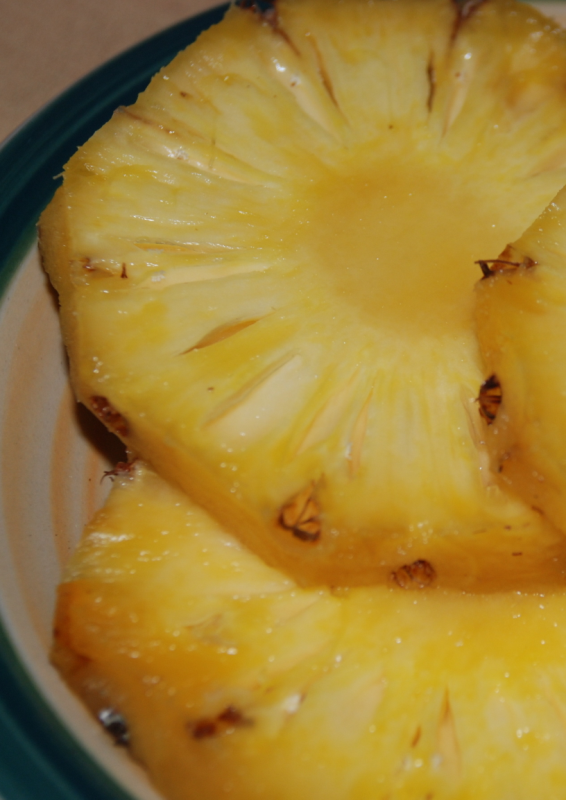 Cut pineapple into very fine pieces. Heat ghee and fry the cashew and kismis. Then add pineapple pieces and fry well into the ghee till it gets soft and partially cooked. Now add the water and boil well adding the salt and the food colour. When the water is boiling add the sooji sugar mixture little by little into the water and simmer for a few minutes and turn off the gas. Sprinkle the cardamom powder and mix it well. Sneha this was good, though I lessened the quantity of sugar, the pineapple was itself sweet. I made it again with tinned pineapple and it turned out well. Thank you again. Thank you Sneha. Nice reipe, easy to make & tasty too.